The final decision was only made during the last round. Marcin Tazbir (Poland IBCA 1) won with a tiny margin ahead of Oliver Mueller (Germany IBCA Team). Both of them ended on 6 points and Tazbir edged ahead with on more Buchholz point. Third place went to Alexey Pakhomov (Russia IBCA Team) on 5.5 with one Buchholz Point ahead of Raphael Zimmer (Germany IPCA). As the current Junior Chess Championship of the Physically Disabled Raphael showed great strength in Dresden as well. Oliver Mueller obtained a direct IM title thanks to placing second. He was just as surpised as well as delighted about the title. Best female player was Svetlana Gerasimova (Russia IPCA) with 4 points. She also gained a direct WIM title. Second place went to Olga Gerasimova (Russia ICCD) with 3.5 points, third place went to Ljubov Kireeva (Russia ICCD, 3.5 points) who also got awarded an WIM norm thanks to her performance. Looking at the teams Poland IBCA 1 won ahead of Russia IBCA 1 and Russia IPCA 1. The overall winners are also the winners of the Blind Category. Placing first within the Deaf Players was Artur Kevorkov (Germany) and Raphael Zimmer (Germany) won the Physically Disabled Category. During the price giving ceremony Phillip Gardner (ICCD President) thanked the players for very fair games and also congratulated the organising team on putting together another great championship. After the prize giving the playing of the national anthems of the countries of the winning player marked the emotional climax of the ceremony. Dr Dirk Jordan (President of the ZMDI) wished everyone safe journey home and hopefully a return visit to Dresden for the 1st World Chess Team Championship for the Disabled (14th – 21th October 2018). With almost a third of all of today's games ending in a draw the tournament remains exciting until the last day! Marcin Tazbir remains on the top of the leader board on 5.5. Both Oliver Mueller of Germany and Alexey Pakhomov of Russia are currently behind on 5 points. It has been an exciting tournament so far and it remains just this until the last day as the main decisions are still outstanding. Our guest of honour welcoming everyone and making the first move was Ms Barbara Klepsch. She is the state minister for Social Affairs and Consumer Protection. She even brushed up on her chess knowledge the night before and was very impressed with the tournament. Herself and her assistant spent quite some time walking amongst the players looking at their games. What an honour to have such high ranking officials amongst the supports of Chess for the Disabled here in Saxony! The 5th round resulted in quite a few draws again and every full point was fought for. It is great to see that the final result is still from clear ahead of the rest day. Current leader Marcin Tazbir of Poland is only 0.5 point ahead of 8 other players on 4 points. Todays pictures will be dedicated to our 10 female players participating this year which is an increase compared to the 2015 tournament. Hopefully it will be possible to increase this number even further over the next years. Unlike most rounds so far we had a total of 10 draws which of course is keeping the tournament interesting until the end. Most of the top seed players won their games. Tserenjav Tumenbayar of Mongolia, the current Asian Deaf Champion had a few issues getting here to Dresden but is now very much enjoying himself at the tournament. Despite being not rated he had a good round achieving a draw against Svetlana Gerasimova (ELO 1879) of Russia. With the start of Round 2 all teams have been registered and we now have a total of 15 teams that have formed. Yet again, we some very interesting match ups on the boards. Amongst the players we have two reigning World Champions. FM Raphael Zimmer of Germany is the new Junior World Champion for the Disabled. He gained his title at the 1st Junior World Chess Championship for the Disable in Orlando, USA this year in June 2017. The second one is Bulat Kabyzhanov of Kazakhstan, the current blind and deaf World Chess Champion. He won his game again Bulgarian IM Rasim Nizam. Whilst IPCA President Zbigniew Pilimon is only here to support his players the ICCD President, Phillip K Gardner, is participating himself. Despite having trouble in getting to Dresden he is enjoying the opportunity of practising his moves. The first round was off to a great start. After everyone settled in, got their volunteer helpers by their side Dr Dirk Jordan welcomed everyone and the clocks were started. GM Thomas Luther, chairman of the FIDE Disabled Commission, made the ceremonial first move on the first board; FM Raphael Zimmer (Germany) against FM Stanislav Babarykin (Russia). With 10 female players amongst the 70 players there were a few interesting games going on. Quite unexpectedly Jerzy Strzelecki of Poland won his game against IM Dmitrij Scerbin of Russia, along with a few more upsets. Only 4 draws made it a very decisive round which provided some great chess. 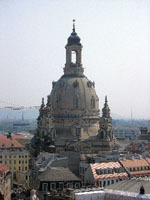 With most of the rounds over by around 3pm the players had a chance to go over their games, as well as still have time to venture out and see something of Dresden. We are honored to carry out the World Chess Championship for Disabled from the 05th October to the 13th October 2017 in Dresden under the patronage of the FIDE. The tournament takes place on a biennial basis (2013 – 2015 – 2017 – 2019) and the first three editions are hosted by the ZMDI Schachfestival Dresden e.V. (the Organizer). The competition is an event only for disabled chess players and each world association (ICCD, IPCA, IBCA) regulates the conditions of participation. It will be held as an individual open Tournament with a separate team ranking. The teams may represent a national federation or any regional structure of a national federation. All the players must be members of the same federation, however this rule is void if all the members of the team are rated under 2100 or unrated. A registered player must be approved by his/her association or by the Chairman of the Disabled Commission of the FIDE. Each team consists of four players. A provisional naming of the players has to be given together with the registration of the team. Changes in the team can be made until the technical meeting. The competition will be played as a 7 rounds Swiss tournament. There will be one free day. 90 min/40 moves + 30 minutes for the rest of the game with an increment of 30 seconds per move/from move one. The waiting period is 15 minutes. Arrangements for a draw must not occur before the 30th move unless the arbiter comes to a different decision. “World Chess Championship for Disabled – Winner of Physically Disabled Section 2017” “World Chess Championship for Disabled – Winner of Deaf Section 2017” “World Chess Championship for Disabled – Winner of Braille Section 2017"
The winners shall obtain gold, silver and bronze medals provided by the organizer. The ranking depends on the number of points each player has reached. The rules of the ranking concerning a tie will be announced during the Technical Meeting. Registering and/or receiving payment of the entry fee after the 15th of September 2017 a late registration fee of 20,00€ will be due. Reason for payment „Entry fee Disabled and Name“. A fee of 50€ is to be paid to the FIDE. This fee has been established on the part of the DIS of the FIDE at the 2016 congress in Baku. The FIDE fee can be paid directly to the FIDE through the national federation. Alternatively the organizers are willing to gather the fee and pay it forward to the FIDE collectively. If the entry fee is not paid until the end of round 2, these players will not be paired in subsequent rounds. Please also pay attention to points 15.2 to 15.4 of the General Regulations for FIDE Competitions. 1 D 01. General Regulations for FIDE Competitions 14. 3 D 01. General Regulations for FIDE Competitions 19. Dinner is 20,00 € per Person including mineral water. The bill has to be paid on the day of arrival at the reception of the hotel. Arrival and Departure, Airport Dresden to the Wyndham Garden and back or to other handicapped accessible hotels will be arranged on request by the organizers to a reasonable price. Touristic events will be organized. Registrations have to be submitted through the national federations or through organizations affiliated with the FIDE (IBCA, ICCD, IPCA). The complete registration form must include the surname/s, first name/s, FIDE ID number, FIDE rating and passport number (for visa only purpose) of each player and each accompanying person. The organizer would like to ask for a preregistration until July 31st 2017. If in doubt the English version of the regulations will apply.